I have the 75B omega in 9mm. My thought would be to get a 1911 chambered in 9mm so I could just bulk buy 1 ammo for both guns. Is that a good thought, or is a true 1911 only chambered in 45? No there have been many and still are very many true 1911's chambered in 9mm really they are quite common place. Nothing wrong with a 9mm 1911 at all. Years ago many 1911's where chambered in .38 super auto. Many today can be had in 10mm as well and an outfit called Guncrafter was making them in .50 cal but I do not know if those are still available. The Rock Island Ultra FS 1911 chambered in 9mm is an awesome gun. very reasonable and will eat any 9mm the CZ will eat. Because you want a heavier, less reliable, lower capacity, more expensive gun that can do less? All kidding aside, if you just want the looks, that is one way to go. If you want to push 9mm to its maximum potential, I think the 1911 is a good platform, but you would be looking at more expensive guns. Dealing with ramped vs unramped barrels, limited parts interchange should be considered. Yes, I like 9mm 1911’s, I just would not recommend it as someone’s first 1911. 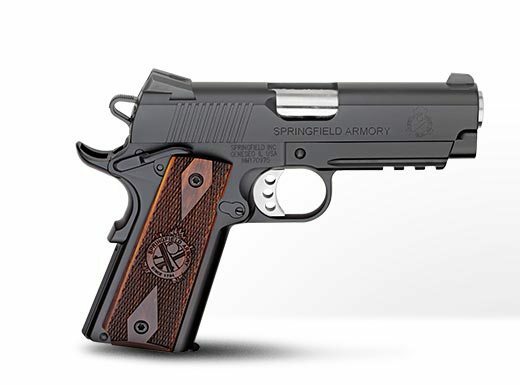 Ruger's 1911 is a very good for the money 1911. Take a look at the Night Watchman version, you can find them for under $1K at several places. After some thought, they are not mine, but I have shot three new Remington 1911's....All ran great out of the box with a failure to do anything. The trigger could use some work on even the best models, but it's a 1911, so it's still good. I think most gunsmiths would work on one too. Just a thought. For me, I’d be looking for an original used Colt Gold Cup National Match Series 70 for that price. I have both the full sized and commander sized SR1911 pistols and recommend them. Don't see those in my area for under a grand. Not even close. Nah, I've just come across a few recently. Nice guns, but 1911's aren't my thing. If I buy/build another it'll be a 2011. Have a S.A. 9mm range officer that has been very good. Ran IDPA with it for a few years. Had a S.A. loaded in 45acp. Liked the R.O. more. Have 2 Sigs, both in 45acp. A basic XO and a fastback nightmare carry 9 (commander). Some hate the non traditional slide shape, some just hate Sig. Both have been excellent for me. All my 1911's have the trigger parts worked on a Ed Brown jig and ambi safeties add (left handed). Have friends with R.I.A. 's and for the money, tough to beat. I have a Ruger Sr1911 lightweight commander chambered in 9mm. I bought it last year for $729.99. I have put about 500 rounds through it with no problems. The only thing that I did not like about the gun was the rubber grips; however, that was an easy fix with some VZ grips. It is a great shooter and I am happy with it. My father-in-law also has a Ruger SR1911 Commander Stainless in .45. I have shot that a few times and liked it as well. I have two Springfields and a Kimber. All have been great. I would say Kimber but a good one might push you past your budget goal. I love this Lighweight Champion Operator from Springfield. It carries and shoots great. My other is just a Parkerized Loaded and it has been a great gun. One of my Stepsons has it right now and I probably will end up giving it to him.